The dermatologists of the Faculty Practice Associates of The Mount Sinai Medical Center offer the most advanced dermatological care available. Our physicians provide a full spectrum of dermatological services including specialty practices in skin cancer, psoriasis, cutaneous lymphoma (mycosis fungoides), vitiligo, eczema, itching, and bullous diseases. We also offer a full range of cosmetic procedures. Their expertise in the use of Botox, collagen, and other fillers, lasers, peels, and leg vein treatments is thorough and extensive, meeting the highest medical standards. 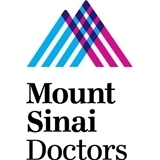 Every dermatologist in the Faculty Practice Associates is a staff member of the Mount Sinai Hospital and a faculty member of the Mount Sinai Medical School. I love Dr. Lamb. I'll definitely go back to her again. She has excellent bedside manner and she's very knowledgeable. She addressed all of my concerns immediately. Excellent, caring, highly competent physician. Visit with the doctor was great. There was miscommunication about my appointment however - this office didn't receive my ZocDoc reservation, despite receiving a confirmation email. They luckily could squeeze me in after they had a cancelation. Explains all treatment options that can work for you and is very professional. He was very nice and very knowledgeable. Dr.Bershad is amazing ,and made my son feel comfortable. We will be back .